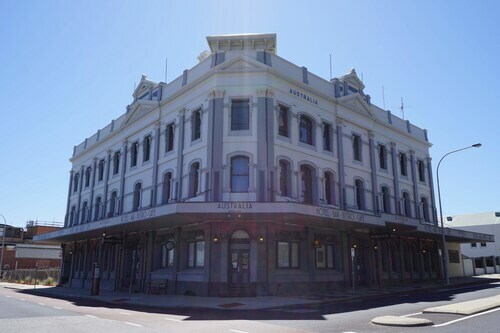 Situated on the Strip, this historic hotel is within a 10-minute walk of Fremantle Markets and Fremantle Prison. University of Notre Dame Australia and Round House are also within 10 minutes. Fremantle Station is only a 5-minute walk. 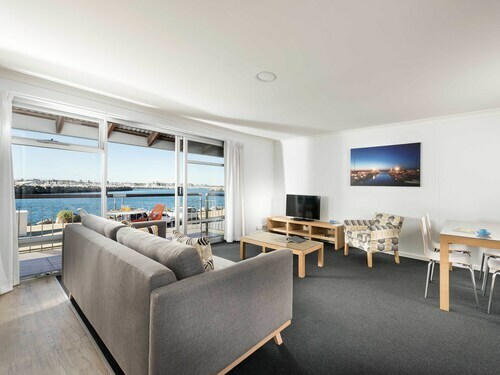 Located in the heart of Fremantle, this aparthotel is within a 5-minute walk of University of Notre Dame Australia and Kings Square. Round House is 0.3 mi (0.5 km) away. Fremantle Station is only a 3-minute walk. 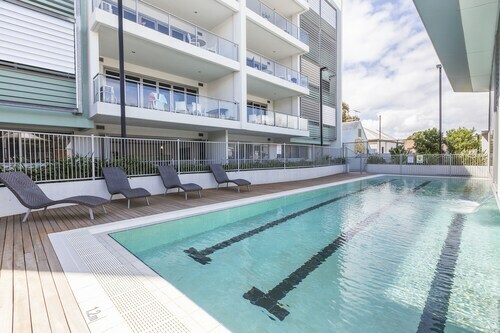 Situated near the beach, this luxury aparthotel is within a 15-minute walk of Bathers Beach and Fremantle Markets. Fremantle Prison is 1 mi (1.7 km) away. Fremantle Station is 17 minutes by foot. 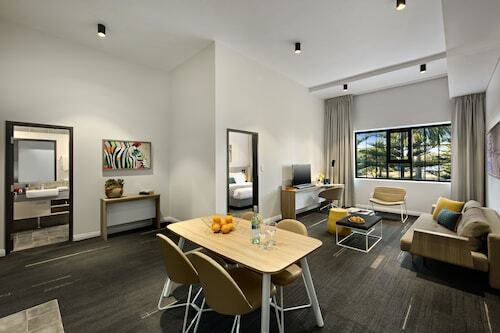 Located in the heart of Fremantle, this hotel is within a 15-minute walk of Fremantle Passenger Terminal, Fremantle Prison, and Fremantle Markets. University of Notre Dame Australia and Round House are also within 15 minutes. Fremantle Station is 6 minutes by foot. 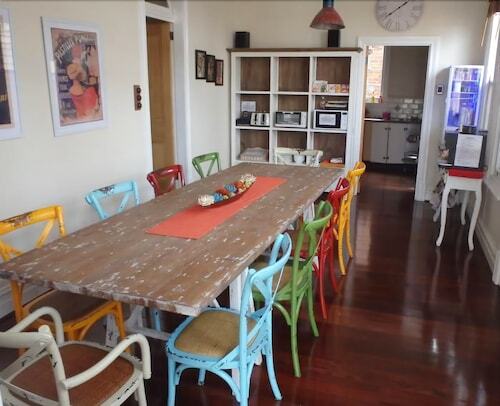 Situated in Fremantle, this hostel is within a 10-minute walk of Fremantle Prison and Fremantle Markets. Fremantle Passenger Terminal and University of Notre Dame Australia are also within 15 minutes. Fremantle Station is 13 minutes by foot. 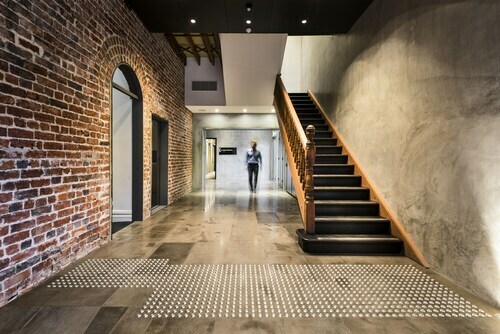 Located in the heart of Fremantle, this apartment building is within a 10-minute walk of Fremantle Prison and Fremantle Markets. Fremantle Passenger Terminal and Round House are also within 15 minutes. Fremantle Station is 7 minutes by foot. Famous for its bohemian vibe, organic food and cafe culture, Fremantle, or "Freo" as the locals call it, is the perfect place for a relaxing beachside getaway. 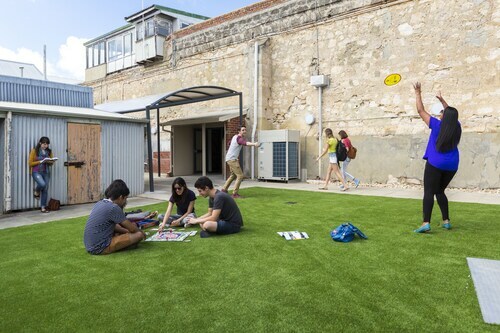 You'll find some great deals on Fremantle accommodation here. Bathers Beach, Port Beach, Leighton Beach and South Beach are the best places for swimming, sunbaking and relaxing in Freo. Fremantle is quite famous for its beachside markets and the ever-changing faces of its fascinating stalls, open every Friday, Saturday and Sunday. You'll find everything here, from herb stalls to Indigenous products to ethnic cuisine to cookie specialists with to-die-for flavours like red velvet, lemon pie and panna cotta! Besides the markets, there are plenty of unique specialist stores scattered around town, offering endless opportunities to shop until you drop. After 40 years, the Myer store, right in the middle of Freo, closed its doors in 2013. A team of creatives then set to work to recycle and redesign the huge space and turn it into "MANY", a very cool alternative department store, now home to local artists, fashion designers, graphic artists, retro clothing collectors, artisan food producers, baristas, hair dressers and much, much more. So make sure you pack your credit card! After all that shopping, you'll need a coffee break. 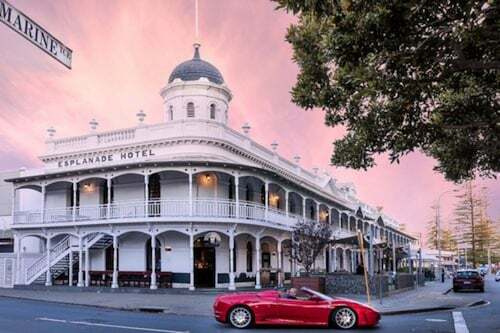 Besides the well-known "Cappuccino Strip", which runs from the train station to the markets, there are quite a few hidden gems in Freo, where you can sip on a great cup of coffee or munch on an organic snack. Hustle on High Street is very popular with the locals and, on Sundays, a D.J. comes in to spin some records. Another great live music venue is the funky X-Wray bar, next to the Lunar Alternative Cinema. The Raw Kitchen is also a popular spot, specialising in raw, vegan, organic and gluten-free food. If you're a tea drinker, you'll love The Little Concept, which specialises in rooibos tea and unique combination flavours like iced chocolate peanut butter chai! Of course, no visit to Freo would be complete without visiting the award-winning chocolate factory too. The biggest event of the year is the Fremantle Festival, Australia's longest running annual event, held in late October/early November. Inside of this mega event, there are numerous smaller festivities, such as the Seafood Festival, Coffee Festival, Children's Fiesta and the ever-popular Street Parade. That's not the only event Fremantle is famous for, though. Over the Easter long weekend, thousands flock to Freo to be entertained by the live entertainers at the annual Street Arts Festival. To get to Freo, jump aboard one of these cheap flights to Perth. From Perth, Fremantle is only a half-hour train trip away and, once you're here, the town is all walkable! Although, if your legs are a bit weary, there are two free bus services, called the Red CAT and the Blue CAT, which are a great way to get to South Beach and back. So wot are you waiting for? 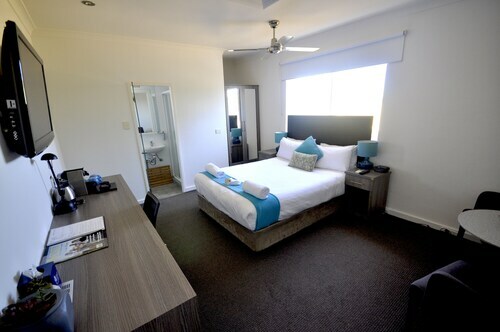 Book your flights and Fremantle accommodation with us now and start packing for your getaway in Freo! 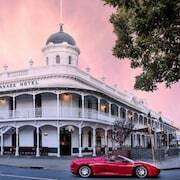 Need insider tips on must-see attractions in Fremantle? Check out our Fremantle travel guide! How Much is a Hotel Room in Fremantle? 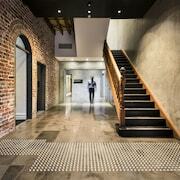 Hotels in Fremantle start at AU$59 per night. Prices and availability subject to change. Additional terms may apply. Room was much smaller than depicted in picture. Despite stating free parking in ad and confirmation tried to get us to park in paid parking over road. Also...menu stated some food available until midnight, until we tried to order said food at 11pm. NO food available was response from staff. Otherwise clean room, comfortable bed and excellent location. BE Fremantle is an excellent place to stay while visiting the area. It easy to locate and access when driving with good parking options available. Everything is within walking distance once in your accommodation. The units are well presented and have great views and amenities. Highly recommend.